In this fourth article, we look at installation, maintenance and repair of electric panel heaters. As per any house hold electrics, electrics are dangerous, if you are unsure leave it to a qualified professional. Panel heaters can be wall-mounted or free-standing and all that is required is a power source close by. Panel heaters need to installed near a power outlet to avoid unnecessary cable runs and the need for unsightly extension cables. Many panel heaters come with templates for ease of drilling. You need to make sure you’re not drilling into anything untoward like hidden cables or wall studs. 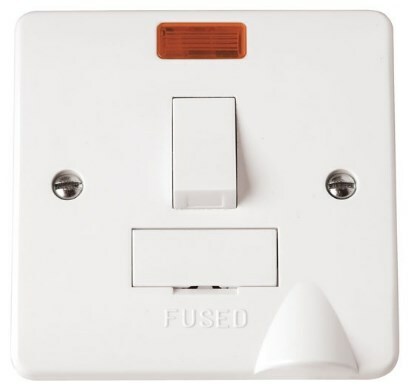 Devices are available to check for cables in walls. You need to drill to the required depth using the correct drill bit as outlined in the installation literature. If wall mounting, it is best to ensure you have the right fixings for the type of wall you are mounting the panel heater/s to. If it’s a non-solid internal wall, the right type of wall plugs like a dry wall fixing should be used to ensure that the panel heater is securely attached. Solid walls, as in period properties, may need a different type of fixing. After wall-fixing, you can then connect to a power source. Panel heaters are inexpensive to buy, install and maintain. Most panel heaters come with a manufacturer’s warranty as standard, but you can expect many years of trouble free service, once installed. Panel heaters don’t need bleeding or servicing - just an occasional wipe with a damp cloth, to remove dust, is all that is needed. 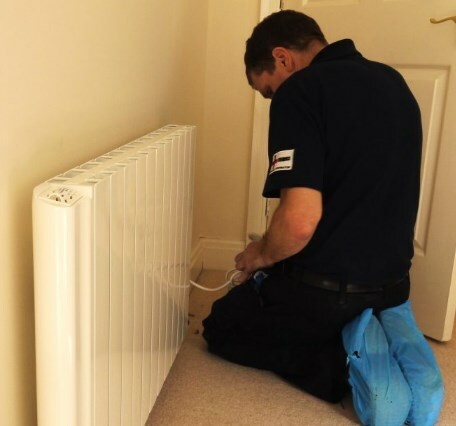 Panel heaters do not require a yearly test by a qualified professional and there is no risk of carbon monoxide poisoning like there is with a gas installation. Maintaining panel heaters is really that easy. 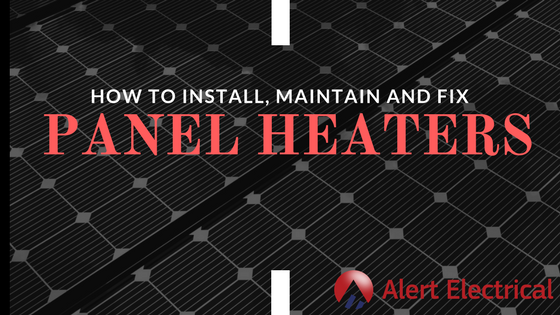 Panel heaters are a reliable and long-lasting heat source - the things that we see go wrong are: faulty LCD read outs, faulty thermostats, broken elements and sometimes the PCB that the cable connects to. None of these are more common than the other and overall faults are uncommon. Online parts suppliers can be found to supply parts for the better known panel heaters if they do go wrong..
As with any electrical equipment though, it is always advisable to get expert help. Many panel heaters can be simply plugged in, but we always recommend installation by a Part P qualified electrician. He/ she will hardwire the panel heater into your existing electrical circuit via a fused connection point (Spur). This allows the panel heater to be completely isolated and turned off, ensuring domestic safety. If you would like any more advice on installing, maintaining and fixing panel heaters, please contact the team at Alert Electrical.